This 25 sqm interior studio apartment is located in a building called Monte Amiata, a big residential and commercial complex built in the 1980's, offering more than 300 apartments and retail stores. It is situated on via Francesco Cilea, in the neighborhood of Gallaratese, very close to Parco di Trenno, one of Milan’s largest parks, offering a massive 590,000+ square metres of land. In this impressive park you will find a great range of amenities, including a children's playground, football and tennis courts, and plenty shaded spots to enjoy of a leisurely picnic. Centro Commerciale Bonola, a big shopping mall featuring a great range of shops and food outlets, is one metro stop away from the apartment. This apartment is located on the third floor of a building which is equipped with an elevator and has a doorman working on site. It has central heating and electric water heating. The price of rent includes council tax, bed linen, central heating, towels and water only. Wi-Fi, gas, electricity and hot water costs are additional. The minimum lease for this apartment is 30 days (1 month) and the maximum lease is 365 days (12 months). The apartment gets good natural light and has a balcony with nice views over the apartment complex. You will provided with a set of towels and bed linen, so you don't have to worry about bringing those from home or buying some when you arrive to Milan. The kitchen is surprisingly well-equipped for an apartment this size, and has a fridge/freezer, an oven, a gas stove and a small corner table where you can have your meals. 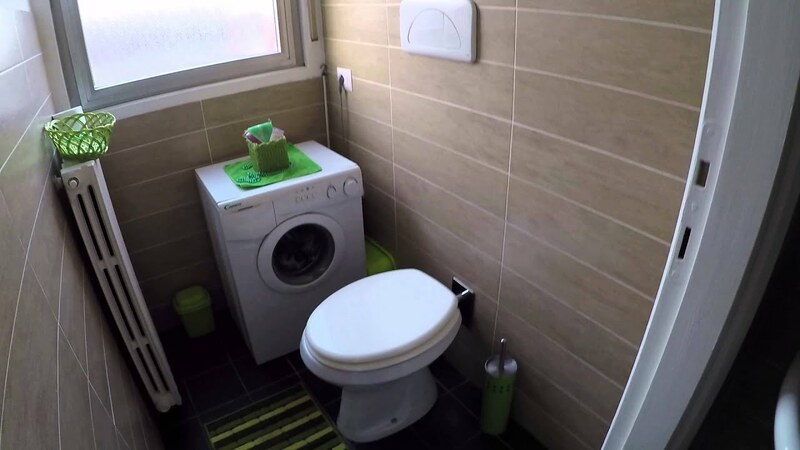 The bathroom is very clean and modern, having been recently renovated. The apartment can only sleep one, as there is only a single bed. Even though this apartment is not in the city centre, you are within easy access to the bus and metro system. The English speaking landlord doesn't live on the property and requires 50% of the total rent as a deposit. Smoking is permitted and small pets are allowed. Rent can be paid by cash, bank transaction or credit card. Bus 69 stops right outside the apartment. The closest metro station is San Leonardo (line 1), and it will take you six minutes by foot to get there.